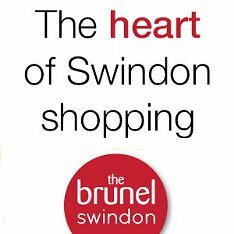 Front Page > Swindon Life > Ear To The Throne! 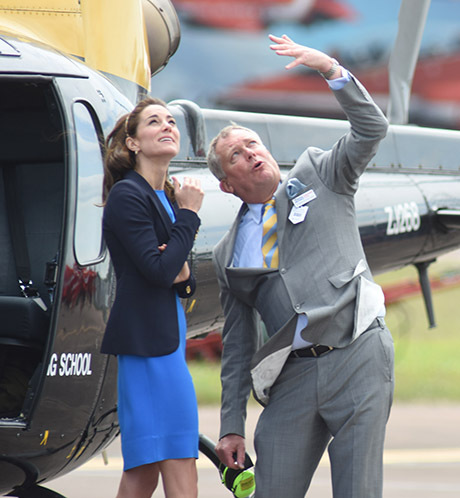 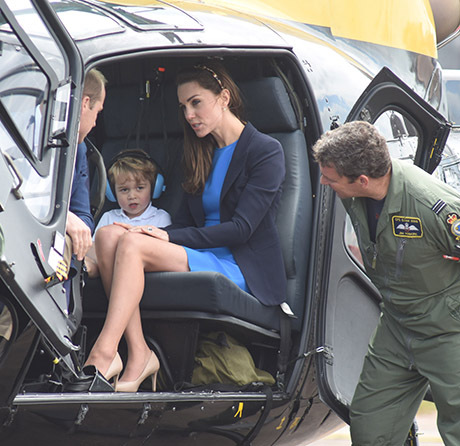 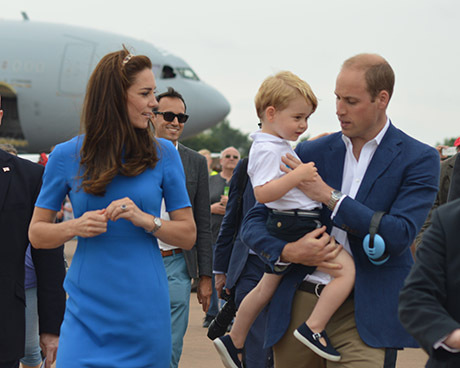 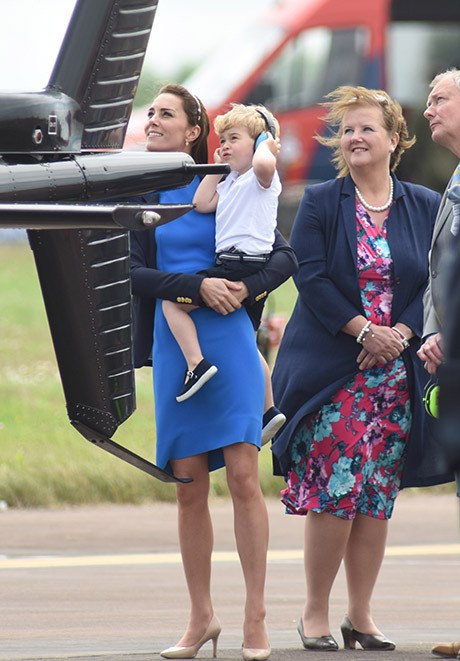 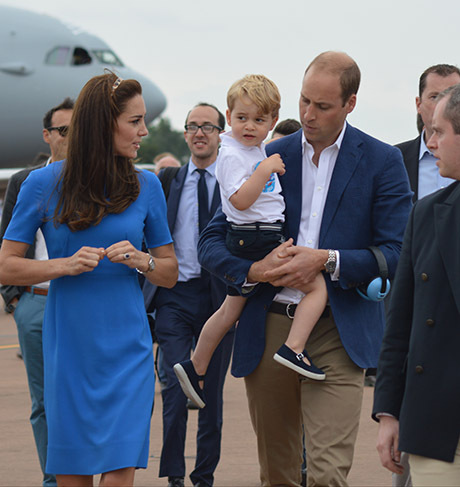 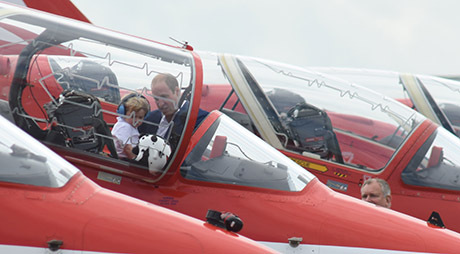 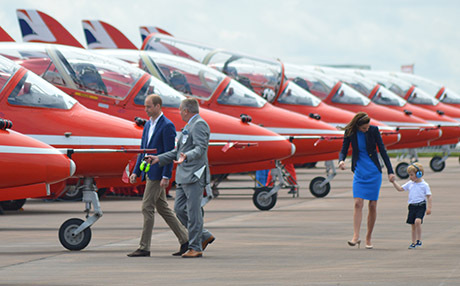 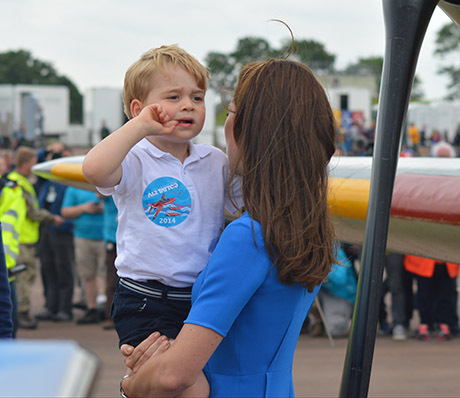 The Duke and Duchess of Cambridge with their son Prince George put the royal into the Royal International Air Tattoo today at RAF Fairford. 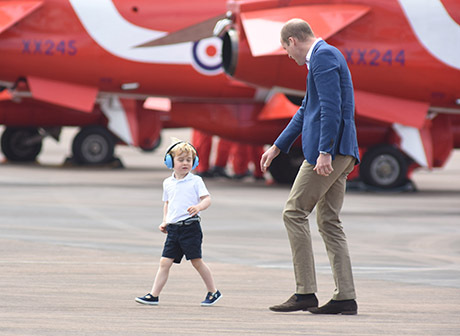 And in a dream day for any young boy, two-year-old George spent the morning with his parents meeting the Red Arrows before taking time with dad (a qualified pilot himself) to get up close with a Squirrel helicopter. 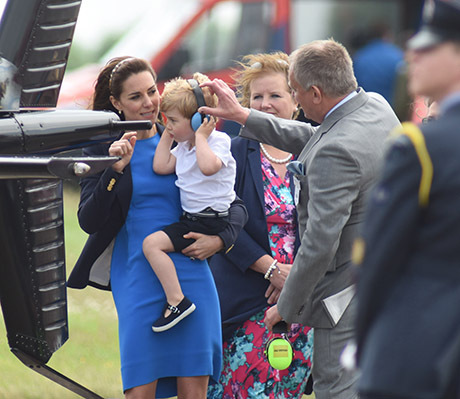 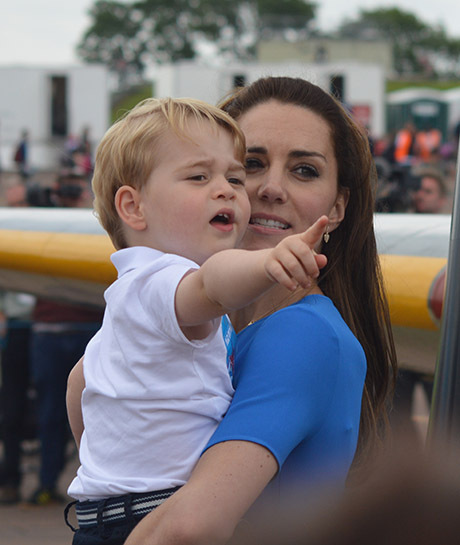 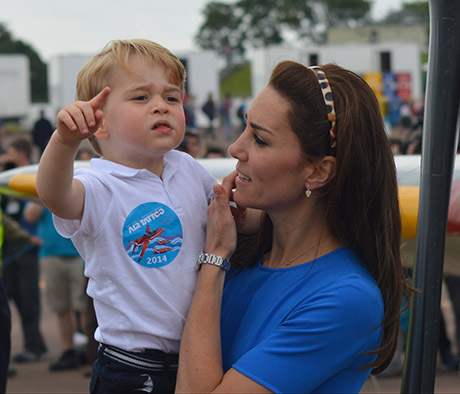 The Duchess was handily placed, however, like the perfect mum when George got a little overwhelmed by the noisy environment and threw a tantrum!.... 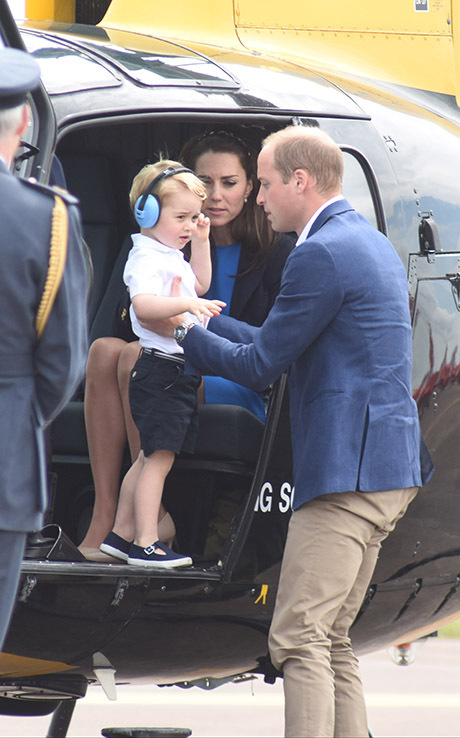 all short-lived thanks to a pair of headphones.